Will the Pittsburgh Penguins trade Derick Brassard at the 2019 NHL trade deadline? Edmonton Sun: With the recent of Mikko Koskinen to a 3-year contract extension, it is likely the Edmonton Oilers will look to trade goalie Cam Talbot by the 2019 NHL trade deadline. Rumors are the Oilers spoke to Talbot about the Koskinen contract extension a couple of days ago. The team didn’t want him blindsided. It is likely Talbot will be willing to accept a trade anywhere at this stage. If the Oilers are out of playoff contention by the trade deadline, they will trade Talbot. If they’re still in it, they’ll need both goalies and Talbot will walk July 1 and the Oilers will have to sign or trade for a backup, because nobody in Bakersfield is ready to be an NHLer next season. If Talbot goes to unrestricted free agency, there will likely be openings in Florida, New Jersey, St. Louis, Columbus and Ottawa for next season. Pittsburgh Post-Gazette: With Justin Schultz set to come back in a week or so, GM Jim Rutherford knows he’ll need to trade a defenseman. 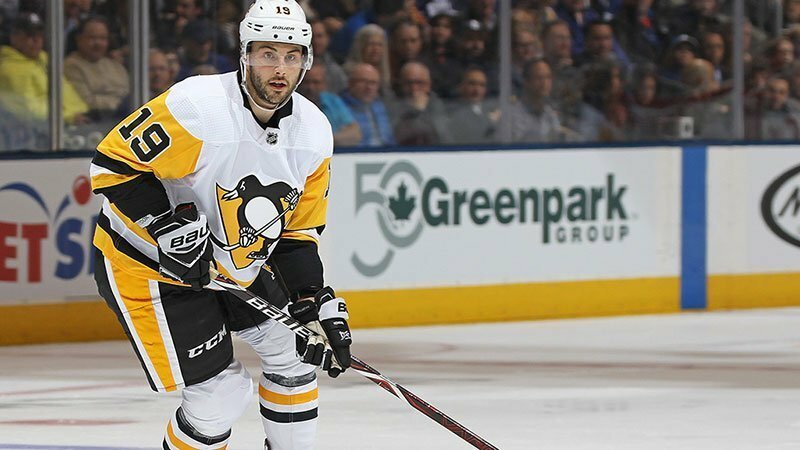 There’s also continued speculation around the Pittsburgh Penguins potentially moving Derick Brassard. Options for the Penguins are Brassard could be retained for the remainder of the season or packaged with a surplus defenseman for a third-line center. The Columbus Blue Jackets and San Jose Sharks are teams that have interest in Brassard.